between Shopventory and a merchant provider system. 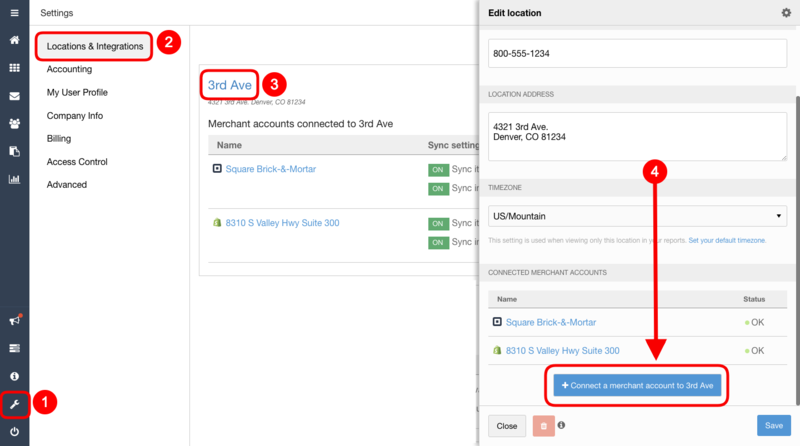 You can do this in the Locations and Integrations tab in the Settings section. The next screen will prompt you to pick you POS (Point Of Sale) provider. You will be prompted to login and "introduce" Shopventory to your register so we can have authorized access to pull information from that register. 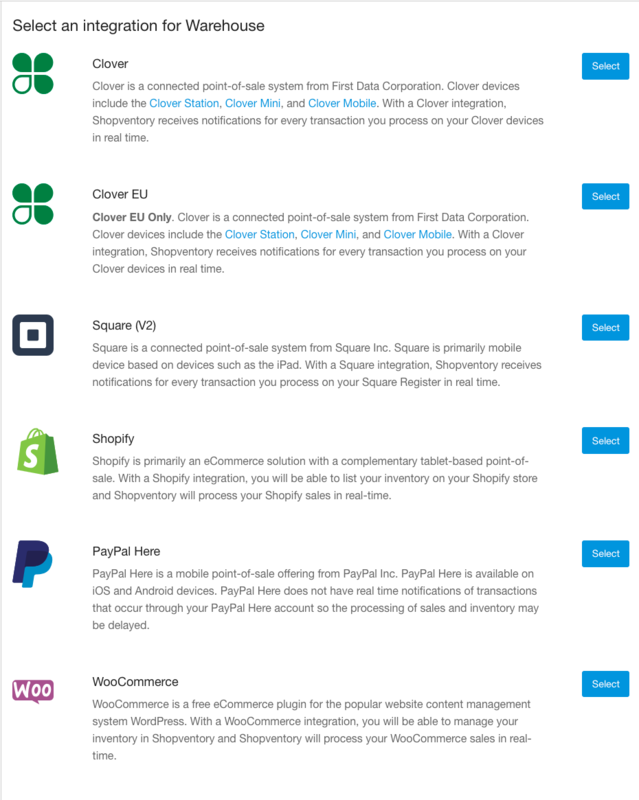 Click on the merchant account integration you want to connect and follow the steps! 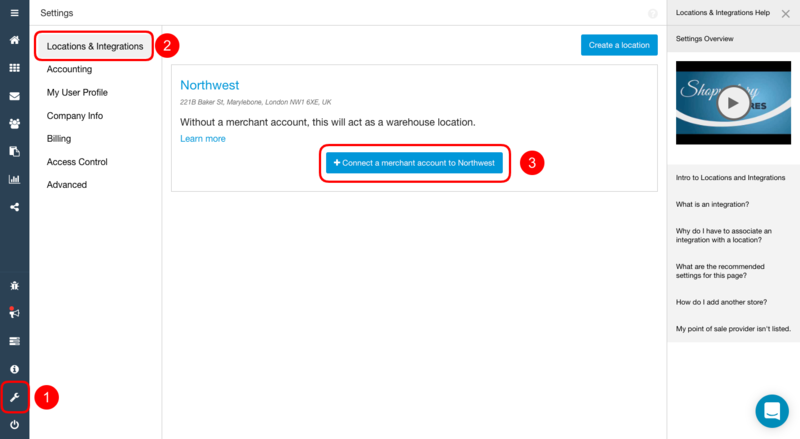 NOTE: If you are connecting to a location that already has an integration, it may be a good idea to export the Shopventory location's inventory to your newly connected integration (see Exporting to an Integration). Once your integration is connected, we recommend activating inventory syncing. Going forward, all additions, updates, or changes to inventory should ONLY be made in Shopventory. As always, just start a chat if you have questions! We are here to help!